Since 2013, the government through the Ministry of Health has spent RM1.924 billion for health services in this state. According to a Negeri Sembilan government portal report, the amount covered RM1.2 billion for treatment, RM199 million (physical projects), medicine (RM450 million), equipment (RM38 million) and infrastructure expenses (RM37 million). Two government hospitals and five private hospitals had been built from 2004 to 2018, bringing the number of government hospitals to seven and private hospitals, to nine, so far this year. The portal said 900,000 patients had received treatment at government hospitals and 130,000 patients had sought treatment at private hospitals last year. The workforce in the healthcare sector had also increased whereby the number of medical officers went up to 1,572 persons last year compared to 518 in 2004. “The number of medical specialists has gone up to 204 people last year compared to 75 in 2004, while the number of nurses has risen to 3,700 people in 2017 as compared to 1,400 people in 2004,” the portal said. 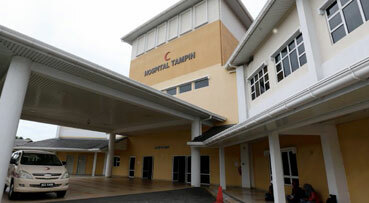 “In addition, three rural hospitals, namely, Tuanku Ampuan Najihah Hospital, Kuala Pilah, Jempol Hospital and Hospital Tampin were upgraded to cluster hospitals to boost specialists’ services,” the portal said. There were 50 health clinics, rural clinics (96), 1Malaysia clinics (17) and eight mobile clinics in the state as of last year. “The government has also provided outpatient and emergency services outside office hours at the Seremban Health Clinic, Bahau Health Clinic and the Port Dickson Health Clinic, which have benefited 63,000 patients last year,” the report added.